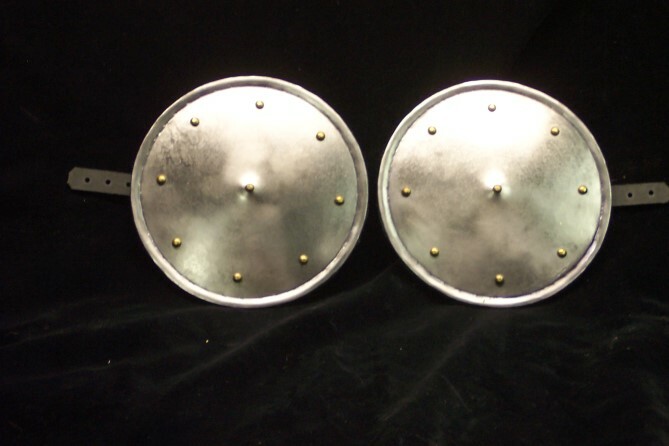 I have for sale two 11 inch steel bucklers, 2 pairs of the finger bucklers we used to make. 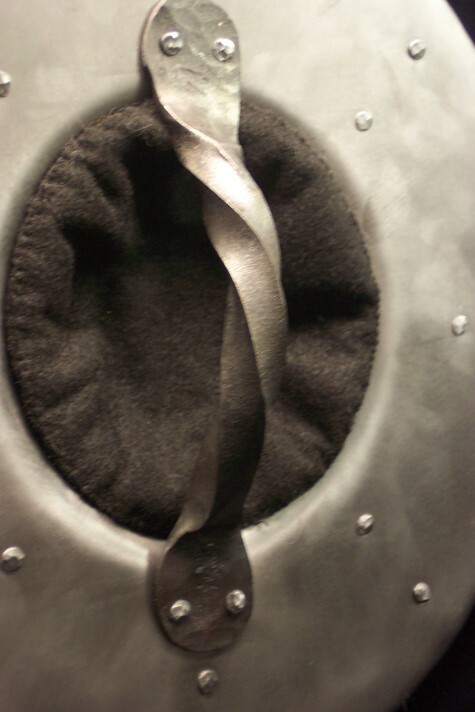 The bucklers are made from 16 gauge steel with hand rolled edges, hand hammered boss and hand stiched boss pads made from natural wool felt and cotton batting. They have forged handles from 1/2 inch square stock with a 3/4 twist for better grip. Like to get $65 each plus shipping ( they will fit in a medium flat rate box for $16.00 ), over $20 less than they used to sell for. 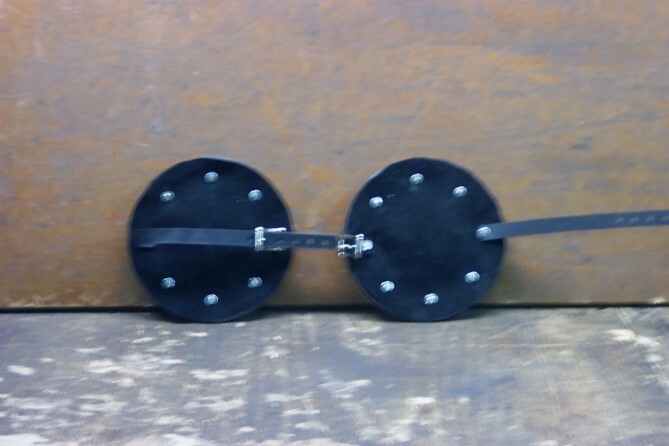 The two pair of finger bucklers are made from 16 gauge CR mild steel with rolled and counter sunk edges for strength. 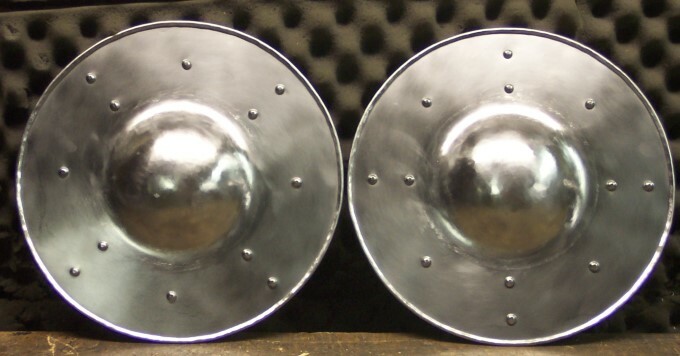 They are slightly domed with a small peak at the center. Lined with leather and stuffed with batting to pad the back of the hand. They are adjustable with hand made buckles with light file and chisel work decoration. They measure 5.5 inches across. Like to get $21 a pair plus shipping.